The new one-stop online movie shopping app hopes to expand beyond Thursday's initial launch with five studios. 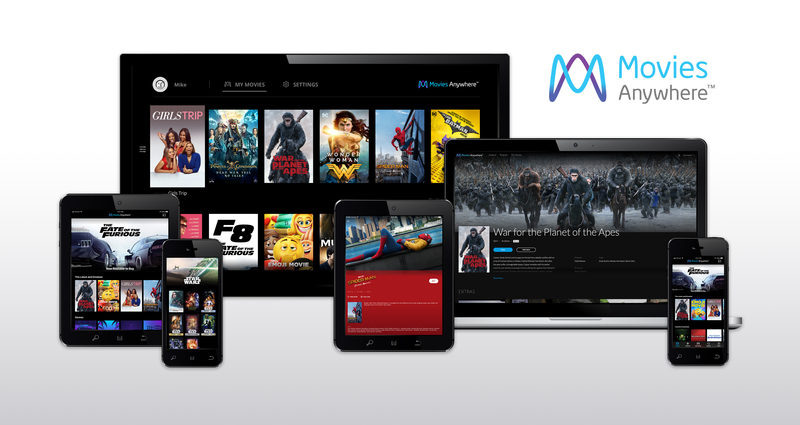 Online digital movie purchasing across multiple devices just got easier for consumers, thanks to a new alliance between major studios Disney, Fox, Sony, Universal, and Warner Bros. With Thursday’s launch of Movies Anywhere, the free app/website provides access to nearly 7,500 titles from the five studios through digital retailers Amazon Video, Google Play, iTunes, and Vudu. Up until now, online digital movie access has been divided between the former Disney Movies Anywhere and rival studios’ competing cloud-based UltraViolet digital locker. According to Karin Gilford, general manager of Movies Anywhere, they hope to lure other studios and mini-majors while also making movies available from specialty divisions Focus Features (Universal) and Fox Searchlight. The interface includes the ability to purchase all currently available titles in the marketplace (including this week’s Digital HD release of Fox’s “War for the Planet of the Apes”), to set up multiple accounts, profiles and rating restrictions for kids, and easily access bonus features. Available platforms include Amazon fire devices; Android devices and Android TV; Apple TV; Chromcast; iPhone, iPad, and iPad touch; and Roku. This Article is related to: Film and tagged 20th Century Fox, Disney, Movies Anywhere, Sony Pictures, Universal Pictures, Warner Bros.